After playing around with scenario 1 in Aegean Strike, I decided to take the training wheels off and give a scenario that uses the whole map a spin. I don't have time these days to write a really detailed AAR but I'll update occasionally as I play. I can't stress enough that this is the first time I've played this game and I really don't know what I'm doing in terms of strategy. 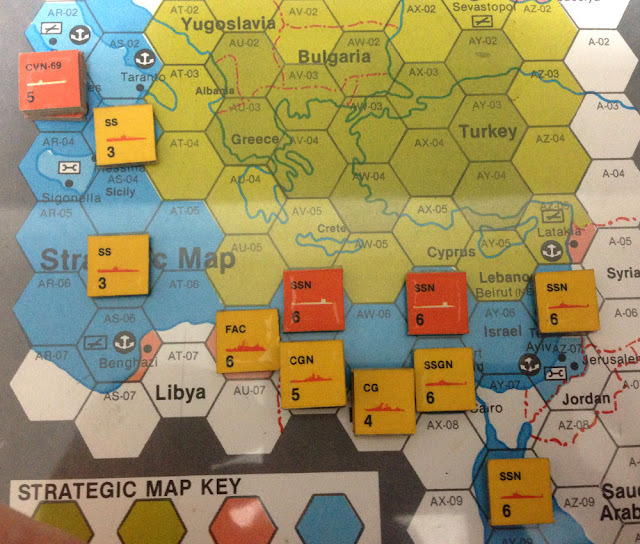 In the second scenario, World War III has begun and the game focuses on Warsaw Pact operations in the southeast European theater of operations. Before we get started, each naval unit gets a single detection roll. 1.) The SSN nearest Italy in AS-03 detects the US carrier group in AR-03. 2.) The Soviet surface fleet in AV-06 is detected by the American SSN in AV-05. In turn, the SSN is also detected. 3.) 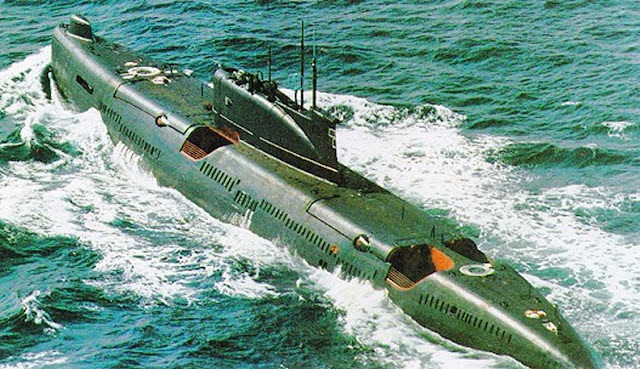 The Soviet SSGN near the coast of Egypt in AX-07 is not detected nor is the American SSN in the adjacent hex to the north AX-06. The USA and USSR roll for Naval Movement Points for the phase. The US player gets 3 NMPs and the USSR gets 4 NMPs. The USSR starts off with some sub hunting. Launching 3 Ka-25s from the Soviet CVH and CGH, the USSR player manages 2 hits on the American SSN in the AV-06 hex. 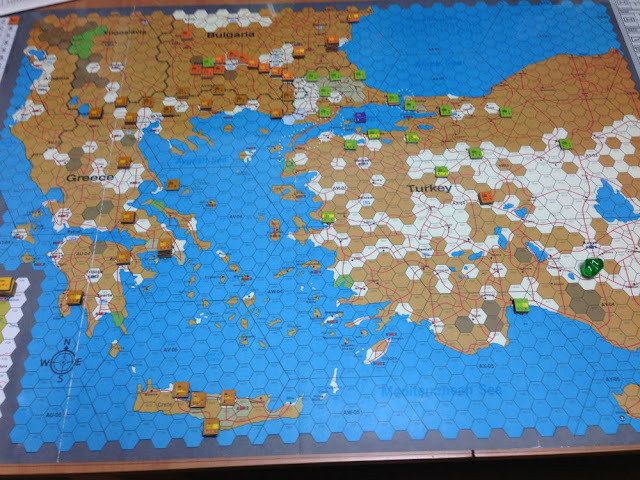 Scenario 1 of Victory Games' 1986 "Aegean Strike" is called "The Battle for North Africa". It features an air and naval battle between the US and Soviets as the Egyptians (US allies) and Libyans (USSR allies) duke it out on the ground. Okay, so this scenario only takes place on the Strategic Map (much like Scenario 5 of Gulf Strike). There are no actual ground units anywhere on the map but there is a marker called FEBA (Forward Edge of the Battle Area) that represents the frontline between Egypt and Libya in the ground war. The FEBA marker starts off in AV-07, halfway between Benghazi and Cairo, and it can be moved east or west by one of the major powers scoring five more hits on it than the other. If the marker gets to Cairo, the USSR player wins. If it reaches Benghazi, the US player wins.